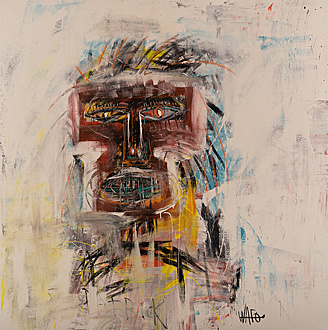 This original artwork is a 2014 acrylic on canvas and depicts abstract, figures and portrait. The size of this art painting original is 64 x 47 in. 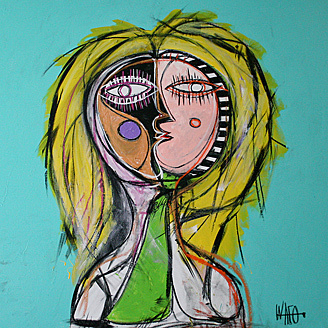 Bullfighter by MALO is enriched by the masculine culture of bullfighting. 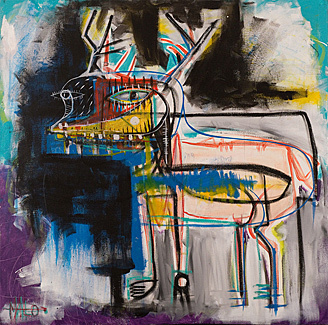 This powerful original artwork impacts observers by blending human and animal forms in the technique signature to MALO. The colorful energy of this acrylic expressionist painting will add intrigue to your home or office.